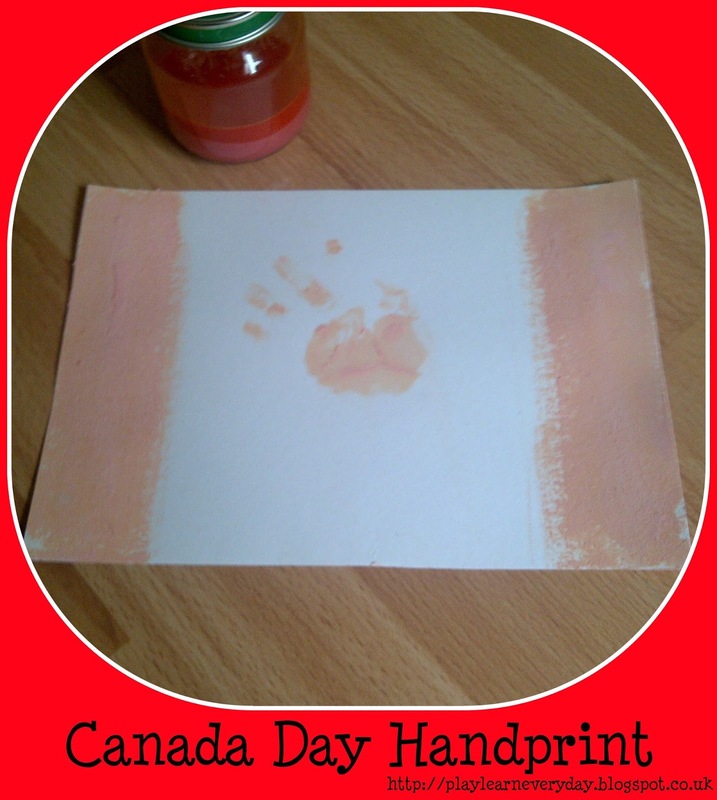 It's almost Canada Day and even though we live in the UK it's still so important to me to celebrate with the kids and teach them all about the country that I come from. Ever since Ethan was a tiny baby we've been finding ways to celebrate Canada Day at home, and sadly there isn't a big celebration in London anymore, so we'll have to make our own poutine and maple leaf shaped cookies and do lots of our own celebrating! We love to decorate the house in red and white and we've made our own handprint flags and handprint bunting too! 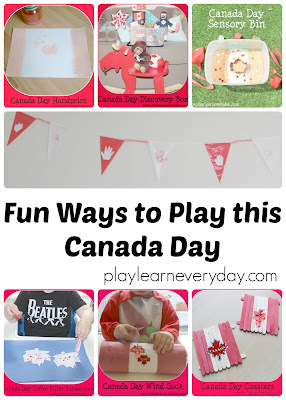 When the kids were babies I collected up all of our Canada toys and books to make them a Canada Day Discovery Box and then last year they got a proper Canada Day Sensory Bin that they absolutely loved playing with! 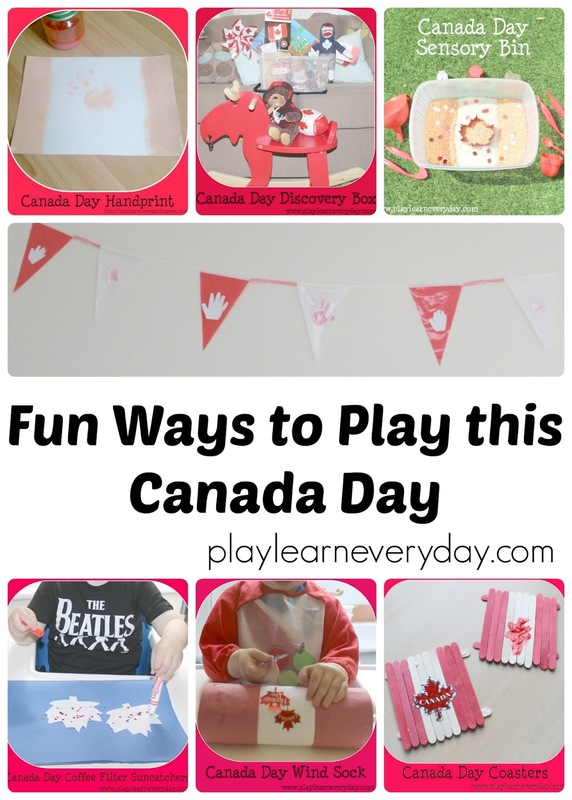 We've made loads of different Canada Day crafts including some Canada Day Suncatchers, a Canada Day Windsock and my favourite Canada Day Coasters. Now to come up with some more fun ideas for this Canada Day!